Students at Henry Anderson Elementary in Richmond were awestruck when Canadian Olympic race walker Evan Dunfee spoke at their school recently. Dunfee graciously accepted the controversial decision judges made to disqualify and reinstate Japanese athlete Hirooki Arai in the gruelling men’s 50-kilometre race walk event, which saw Dunfee move temporarily from fourth place into the bronze medal position then back to fourth place. Students from Henry Anderson Elementary School demonstrate their race-walk skills. Dunfee is harnessing his star-power to speak to schools in his hometown of Richmond, aiming to motivate local kids to get moving and to inspire the next generation of race walkers. Evan Dunfee represented Canada in both the men’s 20-kilometre and 50-kilometre race walk events in Rio. The 26-year-old shares with students his childhood story of loving sports but not feeling like he excelled at any particular event. Dunfee was introduced to race walking by chance while in elementary school at Kingswood elementary in Richmond. After winning the first race he entered, he knew it was the sport for him. 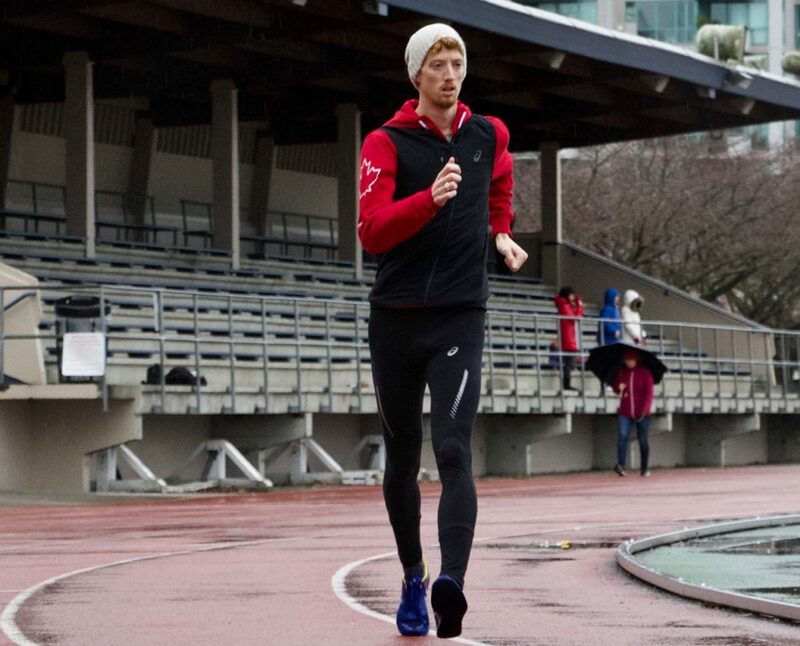 Evan Dunfee practices at Minoru Park in Richmond. 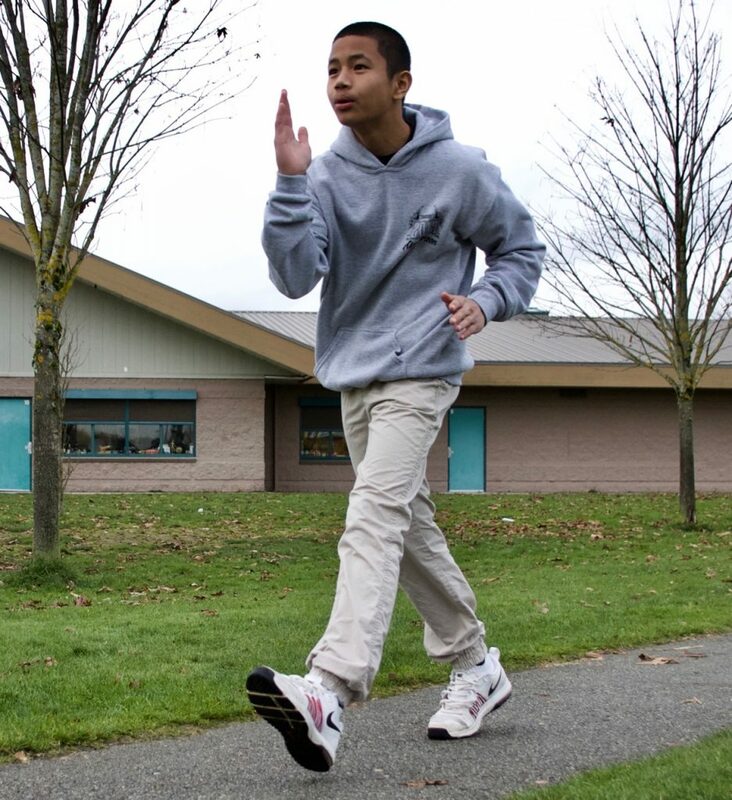 Most of Esteban and Laverock’s classmates had never heard of race walking before Dunfee’s visit, though many now say they would get involved if it was offered at their school. “I think race walking overall is really fun, especially when you’re with your friends,” says Esteban. Marco Esteban keeps one foot on the ground at all times. B.C. had little in the way of local high-level athletes when Dunfee started race walking, though he now says B.C. is a hub for the sport in Canada. Currently there is one race walk club in Vancouver as well as several track and field clubs that introduce race walking to their athletes. Race walking became an Olympic sport in 1908. Interest in race walking is growing in B.C. 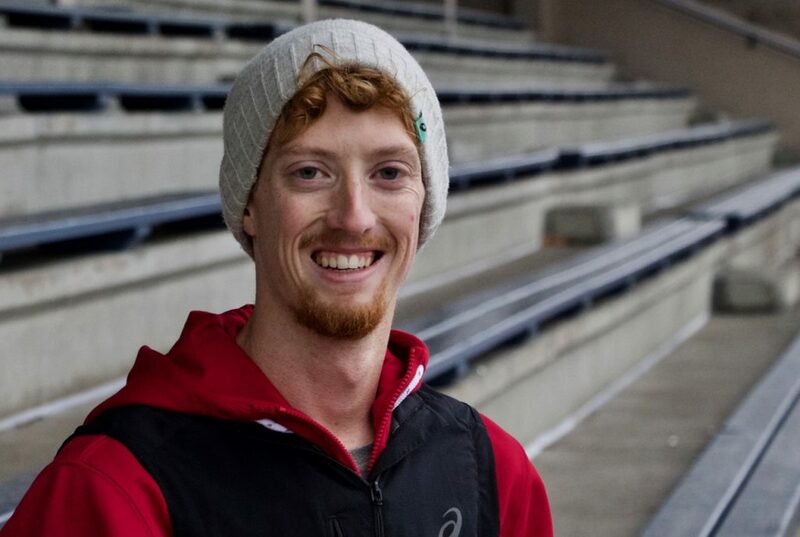 Dunfee noticed a surge in youth membership at Vancouver’s only race walk club, Racewalk West, in 2015 following the Pan Am games, in which Canada won gold and silver in the men’s 20-kilometre race walk. Bev Larssen, former junior development coach of the Kajaks Track and Field Club where Dunfee occasionally volunteers, says that all 45 of their junior development athletes, aged 9 to 13, are exposed to race walking, and several compete. Those young athletes “are a bit star-struck when Evan comes to practice. I think this helps them buy in to trying it out and maybe even competing,” said Larssen. However, she says, as inspirational as Dunfee is, the sport needs more long-term support. The head of the Prairie Inn Harriers race-walk team in Victoria, Helen Jaques, concurs that coaches are needed. 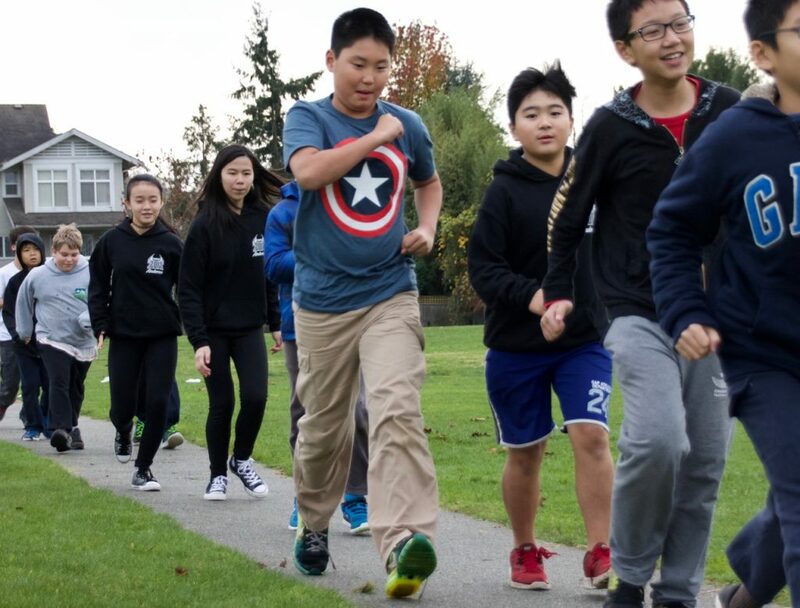 In addition to offering high-level race walk training for high school students and adults, Jaques offers training for coaches and judges in hopes of leaving a legacy of race walking on Vancouver Island. Not only is race walking growing among youth, it’s also attractive to adults. Kathleen Kane took up race walking at 53, unable to run due to knee pain but wanting to improve her fitness. Dunfee sees great potential for race walking to be embraced for people of all ages and athletic abilities. Dunfee is grateful to be an ambassador for a sport that has done so much for him.